A Fully Licensed Private Tattoo Studio! Nestled outside the city of Denton, Driftwood Studio offers a relaxed environment. 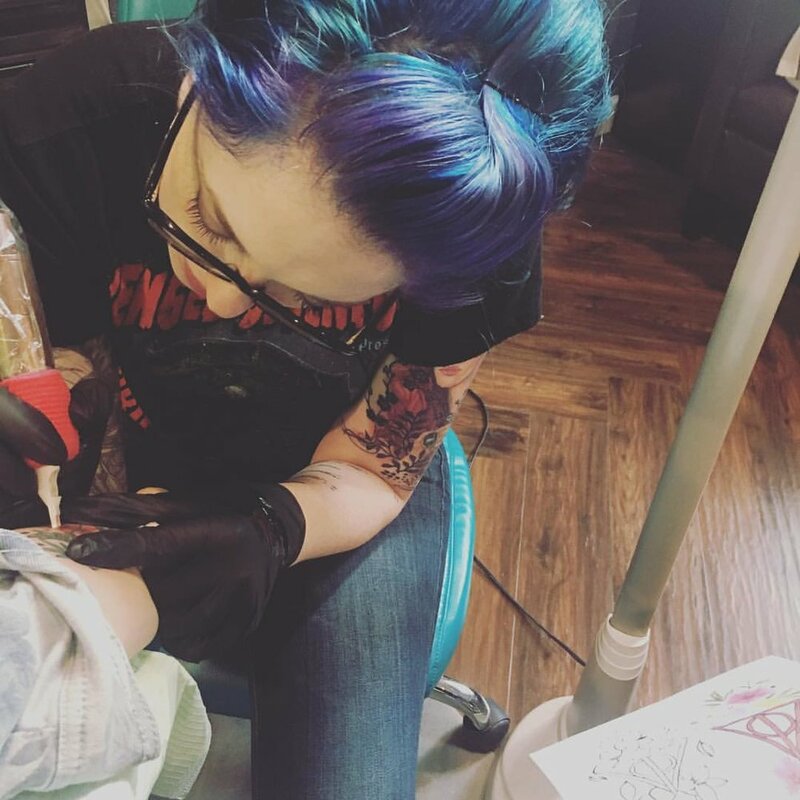 With only two artist (Daniel & Bethany Brockett) and no walk-ins allowed, we are able to focus on your tattoo with little distraction. We use state of the art equipment and disposable tubes and needles. The space is located on our property with beautiful views of the Greenbelt Park. Make an appointment today! Most recent posts! #driftwoodstuidotx Tag your next experience! After graduating from Hogwarts the school of witchcraft and wizardry, Bethany worked relentlessly at some dead end jobs at the Ministry of Magic, always pursuing art in her free time. After meeting Daniel, and falling hopelessly in nerdy love, he convinced her to finally give tattooing a chance. He became her husband and her mentor shortly after. She has been tattooing on people skin since January of 2017. Some people would fall into obscurity after being rejected by the Avengers for the 3rd time. Not this guy. With the ability to smell a honey baked ham from 6ft away, Daniel knew he would find his place in the world. Now having tattooed for almost 2 decades he can rest assured that he has put his mark on the world. Using his well crafted abilities Daniel eventually took on a sidekick (Bethany Brockett). And with his guidance she is fast becoming a rival. Check us out at our other social media platforms!